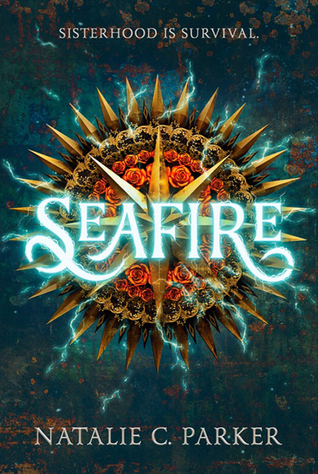 Today we're excited to be a part of the blog tour for Seafire by Natalie C Parker! Read on for more about Natalie plus a guest post! YABC: What was your inspiration for Seafire? I rarely have so clear an understanding of my own inspiration as I do for Seafire. The year was 2015 and I followed a group of friends to see a movie I thought would have a little to no impact on my life: Mad Max: Fury Road. I expected to enjoy it a reasonable amount. I expected to enjoy the discussion that followed. And I expected that discussion to have something to do with the trouble with patriarchy. I did not expect the movie to plant a crucial seed of inspiration that would change my life in a very real way. That sounds dramatic, and I suppose it is, but it is also true. The Mad Max films are violent, grim visions of a post-apocalyptic wasteland in which survival is a brutal process, and before Fury Road I had never seen one of them from start to finish. But MMFR gave me something I wasn’t expecting, it gave me a group of bold, compassionate women at the center of the story fighting for each other under the most extreme of circumstances. For those not familiar with the film, first, let me implore you to seek it out and plant it in your brain (though please be warned that it is violent). And second, here’s a quick primer: led by Furiosa, that group of bold, compassionate women seeks to escape the grip of a powerful tyrant. And—not to spoil things too much—but there’s a point at which they collectively decide that what they actually want is not to escape his power, but to turn and take that power away from him. While it would be another year before I had the specific flash of inspiration that became the first words of Seafire, seeing Fury Road what the thing that made me decide that what I wanted from myself and my own writing in the future was to take something I had never been offered as a young reader. For me, that was epic sisterhood. I wanted a story that centered a group of girls making decisions in support of one another and not in opposition to each other, I wanted to disrupt the narrative that tells us time and time again that girls will ultimately become jealous of one another and actively work against one another. Seafire came from all of that – an unexpected moment of personal change and a desire to continue the subversive counter narrative of collaborative sisterhood. Spotlight on Acadia Files (Katie Coppens), Plus Guest Post! Spotlight on Eleanor Roosevelt's In My Garage (Candace Fleming), Guest Post & Giveaway!